How cool is this?! 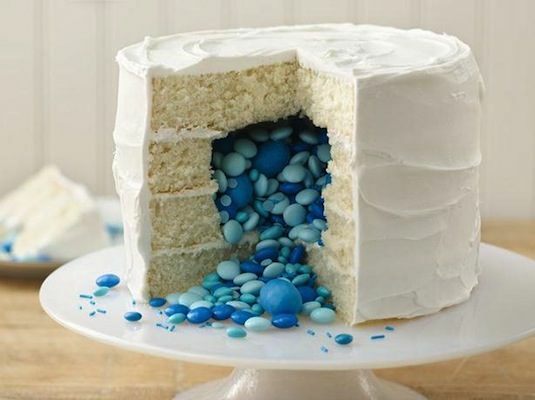 Although intended as a gender reveal cake (blue candy for a boy and pink for a girl), I think this would be fun to make and eat for just about any type of party! 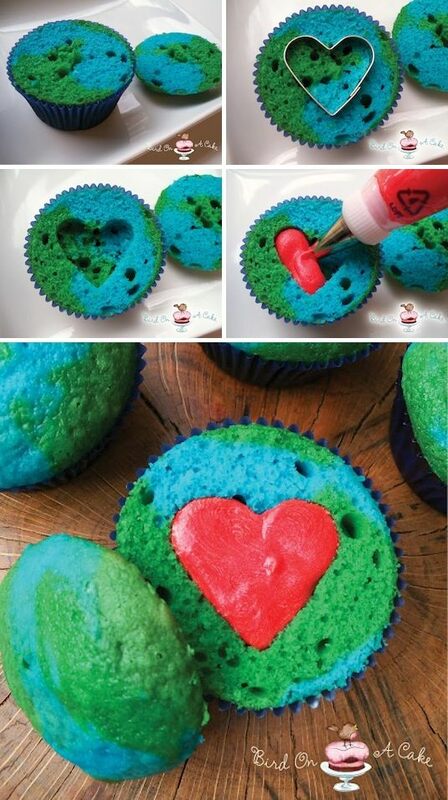 It’s quite impressive but rather easy to make. Your two center pieces of round cake will have a hole in the middle to be stuffed with the candy of your choice before topping with your final sheet of cake. What’s better than a piñata, you ask? An edible piñata! Just imagine the shock of your party guests once the cake is cut open. I love the unique round shape of this one, too. It’s almost as cool on the outside as it is on the inside!